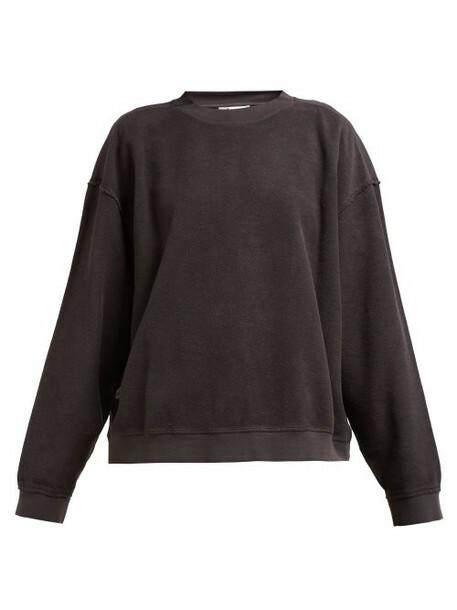 Acne Studios - Raw-edged seams elevate this dark grey sweatshirt with Acne Studios' signature subversive aesthetic. It's crafted from loop-back cotton jersey to a relaxed crew-neck silhouette with a textured front and contrasting smooth back panel. Style it with a checked skirt and leather boots to tap the season's 1990s-inspired mood.